As the winters get darker day by day getting a daily dose of vitamins becomes all the more essential. Vitamins play an important role in the overall functioning of our body. They act as a medium through which we can achieve the aim of leading a healthy lifestyle. 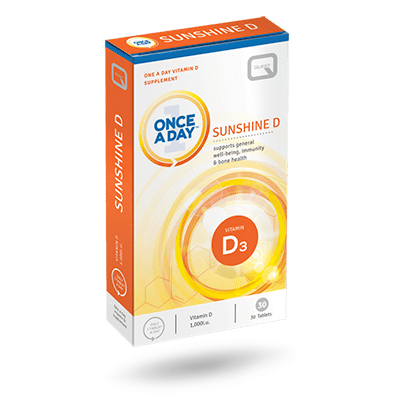 A recent study has shown that most of the adults experience a drop in their levels of vitamin D, especially during winters. Vitamin D popularly known as the sunshine vitamin is a fat-soluble vitamin. It plays an important role in absorption of calcium and phosphate thereby maintaining the health of our teeth, muscles, and bones. Some studies have shown that vitamin D aids in reducing fat accumulation thereby resulting in effective weight loss. It also helps in increasing the levels of serotonin a neurotransmitter that is responsible for controlling appetite, decreasing calorie intake by making you feel satiated. This, in turn, triggers weight loss. Lack of vitamin D may result in poor bone health. This means you are at a higher risk of suffering from fractures as your bones are weak. It may also lead to osteomalacia, osteoporosis, and rickets in children. It is also linked to autoimmune diseases, deadly cancers, and heart disease. Recent research shows that if the pregnant woman is deficient in this vitamin it may lead to complications and premature delivery of babies. The other side effects include muscle pain, hair loss, back pain, impaired wound healing, fatigue, depression etc. The main risk factor is directly linked with the people who are less exposed to sunlight, that is who spend maximum time of their day staying indoors. People with dark skin are prone to this deficiency. Melanin, the pigment present in their skin acts as an obstacle to make this vitamin D. The kidneys are responsible for the conversion of this vitamin in its active form. Therefore, those with kidney problems may be at a higher risk. The individuals with digestive disorders hamper the ability to absorb this vitamin. People who are obese have excess body fat. Vitamin D instead of getting circulated gets trapped in these fat tissues. Now that we know the risk factors, let us take a step to know the sources of vitamin D.
The best way to get vitamin D naturally is from sunlight. Bathe yourself in the morning sunlight for at least five to thirty minutes to get your quota of vitamin D. Expose your body and let the sun kiss your body. However, make sure you have not applied any sunscreen. Take proper care to cover yourself if your skin turns red or you are getting a burning sensation. You can get vitamin D from egg yolks, liver, red meat, oily fish like sardines, salmon, mackerel, etc. Adding a supplement containing ten grams of vitamin D is highly recommended for every individual. For babies, vitamin D drops are easily available. Now that you know the significance of this vitamin, make sure you expose yourself to the sunlight or at least consult your doctor to know the exact amount of supplement you need to take to meet your optimal level of vitamin D.
Gooses Foot Estate, Kingstone, Hereford, HR2 9HY, United Kingdom.